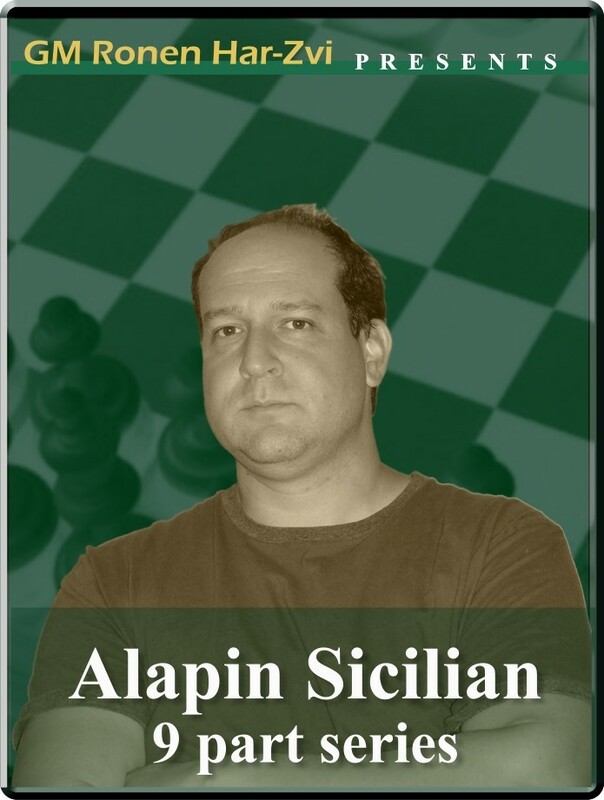 New Ideas in…: Alapin Sicilian (9 part series). B22: Sicilian: Alapin's variation (2.c3). For many players not having the time or inclination studying the never-ending labyrinth of mainline Sicilians, such as the Najdorf, Dragon, Taimanov and Sveshnikov, the Alapin with 1. e4 c5 2. c3 has proved to be a very popular alternative. It is named after the Russian master Semyon Alapin (1856-1923), and today it is one of the most solid and respected Anti-Sicilians, championed by many club players and leading grandmasters, such as Evgeny Sveshnikov, Eduardas Rozentalis and Sergey Tiviakov. And now in his latest series of "New Ideas In... " , GM Ronen Har-Zvi takes a closer look at this very popular Anti-Sicilian line. New Ideas in…: Alapin Sicilian (9 part series). B22: Sicilian: Alapin's variation (2.c3). For many players not having the time or inclination studying the never-ending labyrinth of mainline Sicilians, such as the Najdorf, Dragon, Taimanov and Sveshnikov, the Alapin with 1. e4 c5 2. c3 has proved to be a very popular alternative. It is named after the Russian master Semyon Alapin (1856-1923), and today it is one of the most solid and respected Anti-Sicilians, championed by many club players and leading grandmasters, such as Evgeny Sveshnikov, Eduardas Rozentalis and Sergey Tiviakov. And now in his latest series of "New Ideas In... " , GM Ronen Har-Zvi takes a closer look at this very popular Anti-Sicilian line.